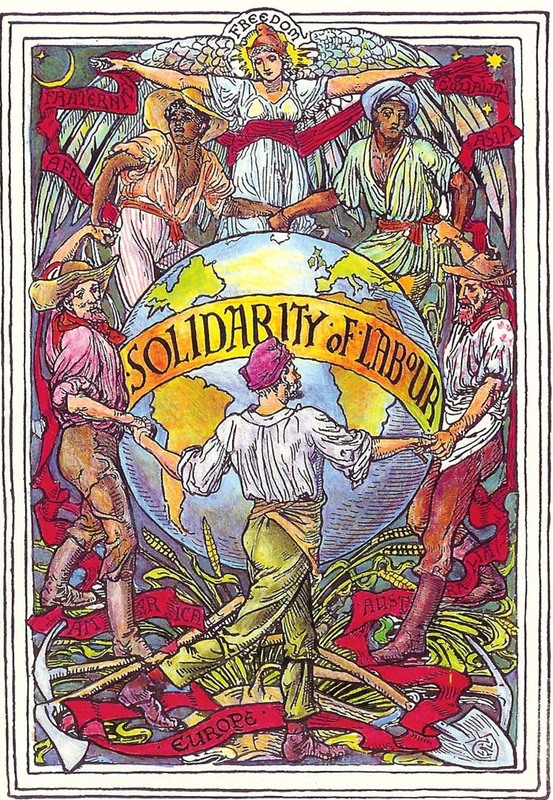 British artist Walter Crane's "Labor's May Day," with its depiction of the worker as male, but united across nations and color lines, and inspired by freedom and entitled to leisure. May Day as a labor protest and was "invented" in the United States and celebrated as a day to rally for international labor solidarity. The actual history of labor is a bit less male, and a lot more complicated! Still, the art is beautiful. The sentiment that human freedom might be achieved through the labor movement and radical change in economy inspired many labor activists, male and female, in the United States--across time and space.